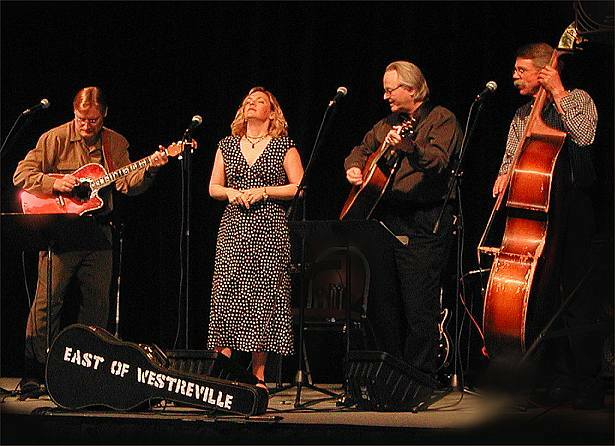 "Purveyors of American Roots Music"
Meet the members of East of Westreville. EOW is Americana roots music: bluegrass, blues, folk, and country music--a country blues to bluegrass road trip… with a few stops along the way! We are pleased East of Westreville was featured in recent issue of South Dakota Magazine! Read the story from the Sioux Falls Argus Leader by clicking here. Kaija Bonde, vocals, Sioux Falls, has been acting and singing all her life. She is best known for her portrayal of Patsy Cline in the acclaimed nine-year tour of Always… Patsy Cline. Other favorite roles include Eva Peron in Evita, Maria in The Sound of Music, Sr. Robert Anne in Nunsense, Little Red Riding Hood in Into the Woods, and Rhetta Cupp in the long running touring show Pump Boys and Dinettes. 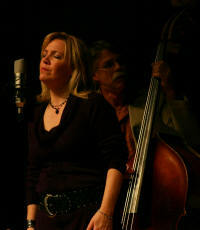 She also performs with the Gene McGowan Jazz Trio and the Sioux Falls Big Band. Kaija has released two CD’s of Patsy Cline music. Brian and Kaija recently appeared on "A Prairie Home Companion” with Garrison Keillor. She lives with husband Brian and their children. 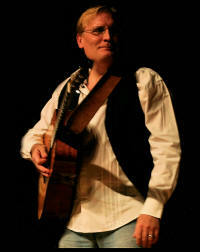 Boyd Bristow, lead guitar and vocals, is a well-known singer and guitarist in the region. 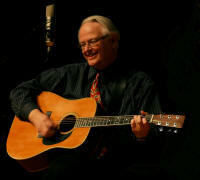 He was one of the regular members of the Acoustic Christmas cast and has performed with many bands including Blue Berry Buckle and The Red Willow Band. He was musical director for Always… Patsy Cline. He is a retired counselor, runs a recording studio and is a member of the South Dakota Rock and Roll Hall of Fame. He lives in Sioux Falls with his wife, Rev. Dar Berkenpas. Boyd has released a solo CD, "Cloudless Sky," which was produced by Chris Gage. For more information or to buy Boyd's new CD, click here. Brian Bonde, rhythm guitar and vocals, spent the last few years as director and producer of Always… Patsy Cline. Brian and Kaija founded the Comfort Theatre Company in 1997. He was last seen on stage as Johnny in The Cardigans, as Jean Valjean in Les Miserables and has performed in many musical productions. Other favorite roles include Jim in Pump Boys and Dinettes, Che in Evita, and many others. He was Vice President for Augustana College, President of the Children's Care Foundation and Vice President of Major Initiatives for Sanford Health. He is now founder and president of the firm Advanced Certified Fundraising, LLC, and lives in Sioux Falls with Kaija and the kids. Al Slaathaug, upright-bass, is a Fort Pierre native. He began playing bass backing up Terry Ree for post game dances at Riggs High in Pierre. 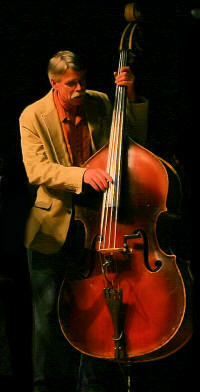 He has played in regional bands including, Blue Berry Buckle and The Secret Band and is a regular with the group "Fiddler Nelson." He is a computer programmer and now lives in northwest Iowa.